Ever wondered what the carbon fiber beauty that is the Aston Martin One-77 looks like getting a service in Santiago, Chile? Pretty amazing. 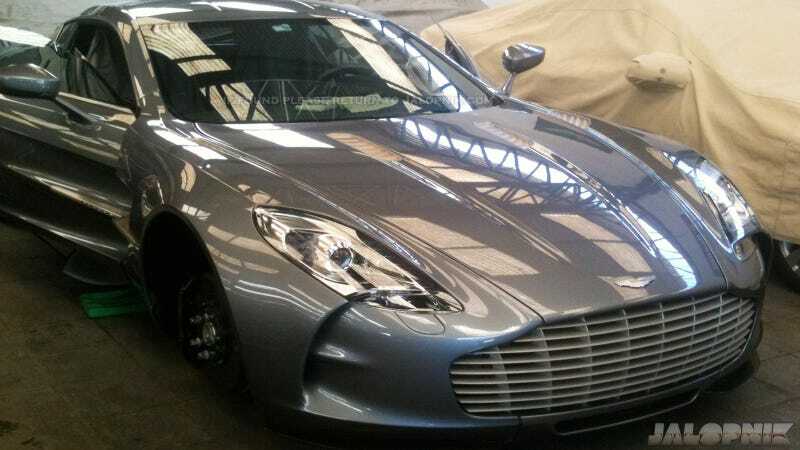 These pictures were sent in by a Jalopnik reader, who tells us this is the only One-77 in South America. We're not surprised these things are rare on the ground, as only 77 were made. Beyond that, the Aston isn't exactly the flashiest way to spend $1.7 million on a car, nor is it thee most performance you can get for the money. This supposed that you're a Chilean mining oligarch or finance tycoon or whatever. You can't argue that the One-77 isn't a fantastic machine, though, what with its 730 horsepower 7.3 liter V12 drawing air through the carbon fiber support structure under the hood. If it were my cash, I'd take one of these over any of the Italian hypercars any day. Well, maybe not if a Zonda was in the same showroom.